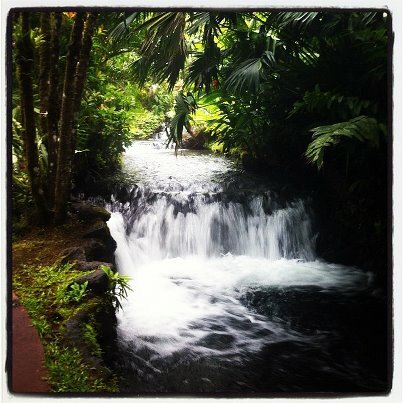 Travelers on Twitter raved about Tabacon Hot Springs and said it is one of the most relaxing and beautiful hot springs in Costa Rica. 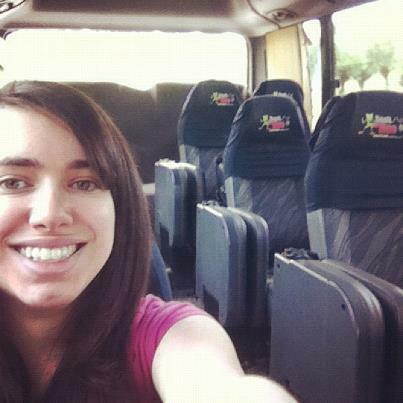 After riding a bus where I was the only one on the bus (Another great perk of low season!) for a few hours from Monteverde to Arenal Volcano, I decided that getting a good dip in the hot water would be well worth it. Wow! I can understand why it’s such a magical place for honeymooners. There are lots of “little private pools” giving couples exclusive time and space to themselves. Water cascades were everywhere. 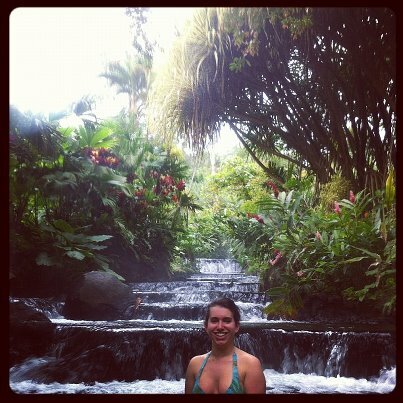 Rainforest surrounded the hot tubs. There was even a slide, which gives a message that it’s family friendly too.